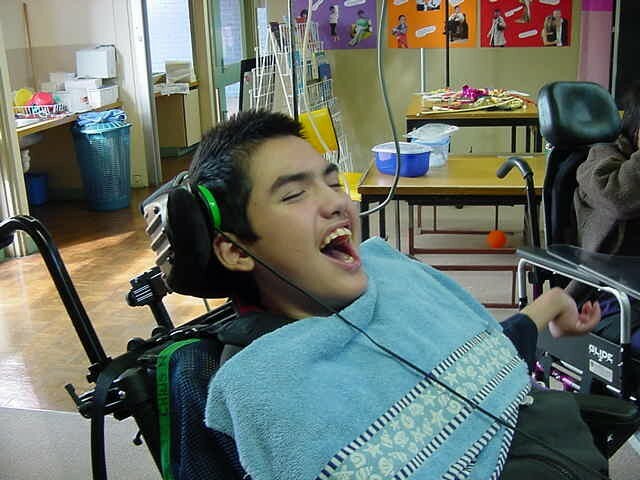 The Chrisalis Foundation Inc. resources program provides funding for essential equipment and resources for an individual person and their family living with disability or special needs in Victoria. The resources program provides gap funding for essential resources and equipment that are not covered by alternate forms of funding such as SWEP, NDIS and other NFP grants and government funding or rebate schemes. You must be an Australian citizen and live in Victoria ,Australia. Be the carer of a person with disability or a person with a disability as defined by the Disability Act 2006, aged 0 – 32 years of age. Live in the same house as a person with disability or care for them for a minimum of 20 hrs per week as per Centrelink guidelines. Must not be receiving funding from alternative sources of funding such as SWEP. (Statewide Equipment Program) and the NDIS (National Disability Insurance Scheme). Requests of funding must be submitted via the online application form on the website and must be complete. There is only a limited number of applications granted per funding round. The Chrisalis Foundation Inc. do not give cash , we will arrange payment directly to provider of equipment or resources. The Chrisalis Foundation Board meets at the conclusion of each funding round to review applications. This process may take 1 or 2 months to decide on successful applicant(s). Every applicant will be advised of outcome in writing by email or as per requested on application. Once an application is granted, the decision is final. There would be no other further opportunity to apply for another resource if you have been allocated funding, to allow an opportunity to others. Short term, in home support. Recreation, e.g. camps, holiday programs, group holidays, day trips. Specialised car seats and occupant restraints. Alternative positioning items. e.g. specialised seating or standing frames. Environmental controls and other emerging technologies. Laptop, or Ipad for education purposes. Services to enable a primary carer to work. Equipment and services that can be sourced through governmental agencies and allied health services under block funding already established, or is available through pensioner or rebate schemes. Modifications to vehicle or home. Installation of spa’s or swimming pools. Salaries or administration expenses, repairs to equipment. Please ensure that you understand the application process and should you have any queries contact us at the Chrisalis Foundation: grants@chrisalisfoundation.org.au. Do you live with the person with a disability? How many hours per week do you live with the person with a disability? Please provide evidence of shared residence. Is the person an Australian Citizen? If yes, please provide a copy below. Please attach 2 recent forms of documentation from qualified medical or allied health practitioners confirming diagnosis. Have you tried to source this support elsewhere? If yes, why was the support not available? If no, why not? Where will it be sourced from? What Outcomes are you expecting if this grant is approved? What difference will it make? Do you require any additional support to ensure outcomes are met? How did you hear about the Chrisalis Foundation and the Grant Program? If successful will you allow the foundation to use some of your information in our promotional material? We will always ask for permission to share photos, stories and other personal information. We will change the names if requested.